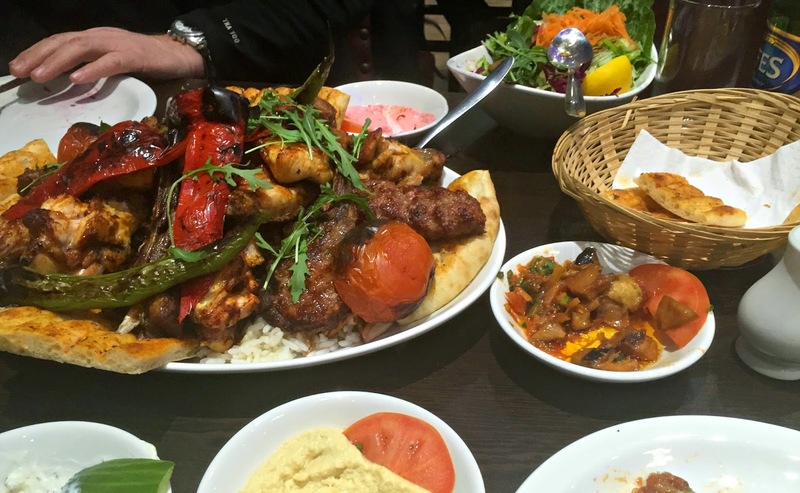 Whenever people ask me my favourite restaurant, they always expect me to say some fancy place up in the centre of London but if I'm being honest, I'd have to say my local Turkish ranks pretty high. I know most of you won't be travelling out to Zone 6 to try this for yourself but I couldn't NOT share this with you. The food is delicious, brilliant quality and the portions are SO generous. 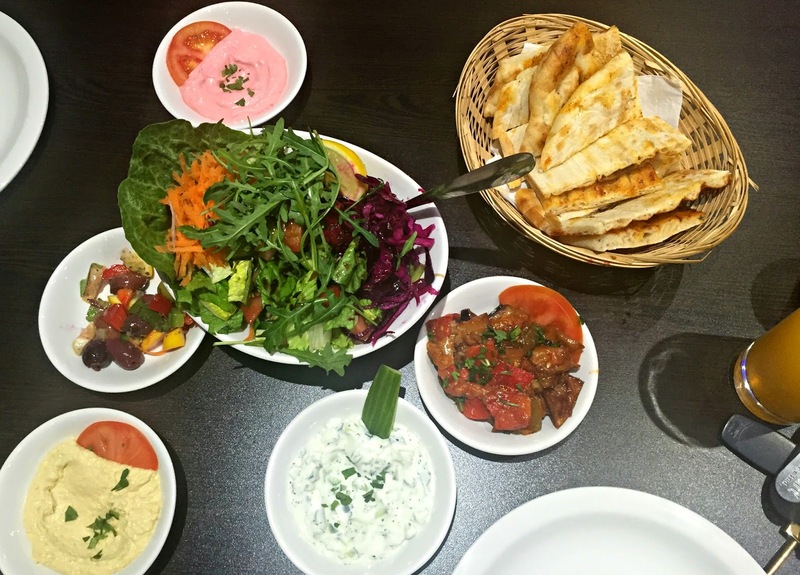 When you first arrive, you're greeted with a complimentary round of olives, pittas and salad. 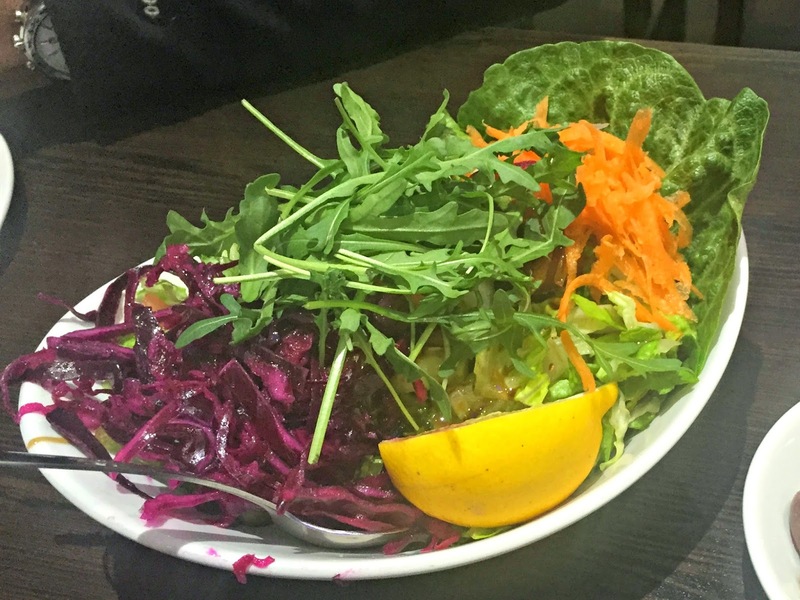 I rave about the red cabbage in the salad and it takes a lot to get me excited about salad. The best thing about Istanbul is the portion sizes. 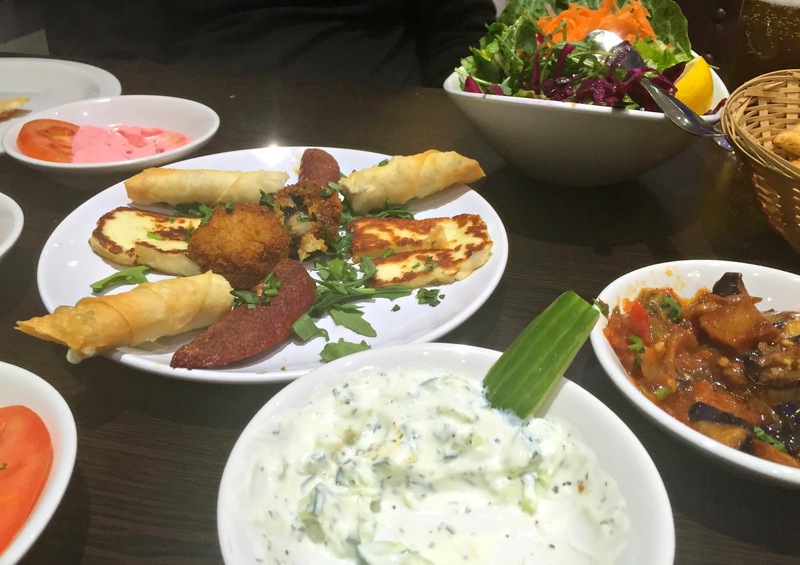 They do a special for £17 per person which contains an array of mixed mezze starters along with a huge plate of grilled meats. 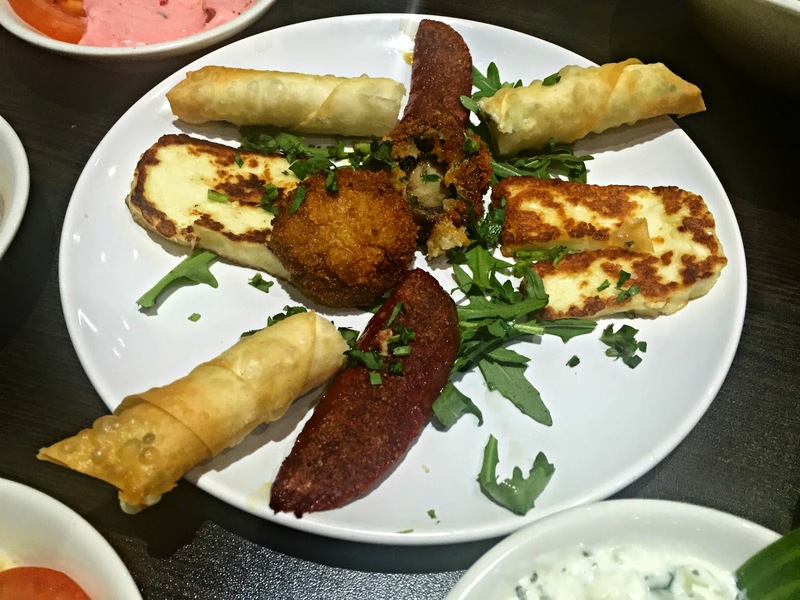 Stuffed mushrooms, halloumi cheese, borek (pastry filled with feta cheese) and Sucuk, spicy garlic grilled sausage. 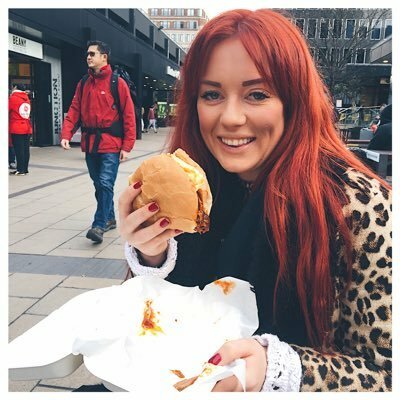 I love halloumi so it's always a winner for me but the pastries are also delicious and not something I would normally order. 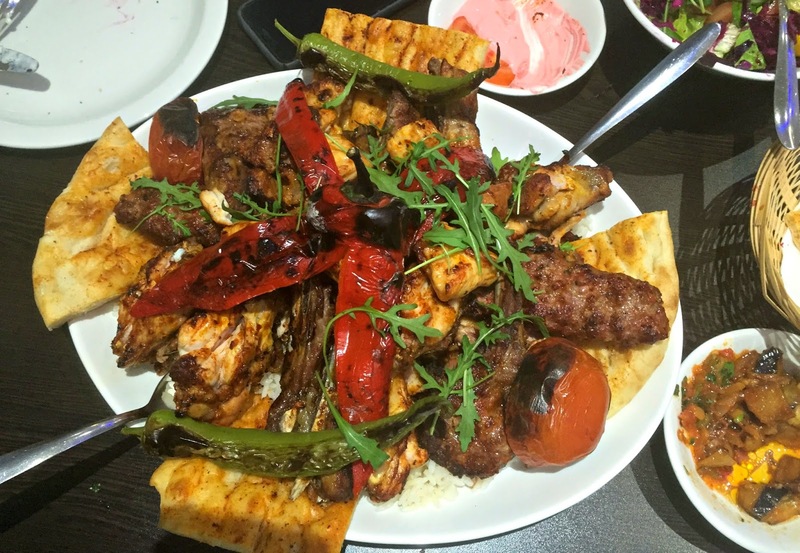 A giant plate filled with grilled chicken wings, chicken and lamb shish kebabs, lamb adana kebab, lamb chops, lamb ribs, lamb doner and chicken doner served on a bed of rice, flatbreads and grilled peppers and tomatoes. It's a meat heaven. The portion below is for two people. TWO. I've only ONCE managed to get through the whole lot and that's when I was with my human dust-bin boyfriend Tom. I've tried to take it on with my step-dad and with my step-brother and failed on both occasions so there is plenty there for the finest eaters among us! I also highly recommend the chicken shish with yoghurt (£8). Lean chunks of grilled chicken, served on flatbreads and covered in a spicy tomato sauce and fresh yoghurt. It's packed full of flavour and fills you up without being too over-indulgent. I would say if you're ever in Zone 6 to head over there for dinner but truth is - this place is packed no matter what day it is so you'll probably need to book! I've been turned away on a Wednesday evening before which just goes to show how popular it is!